Ed Sheeran has revealed in a new interview with The Sun that he's planning to take a long break from music after his x world tour. The "Thinking Out Loud" singer admits that he hasn’t had any real time off since the start music career. Ed told The Sun that he would be taking a break after his international tour finishes next year, "I haven’t had any time off since before I signed my record deal and I want some! I’ll do what I enjoy and it won’t feel like work." 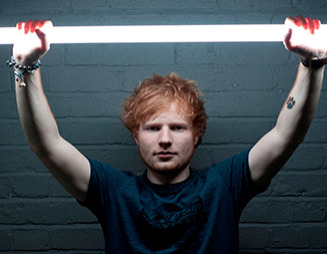 "After (next single) Thinking Out Loud, I don’t think I should do another single from X. Three is a good number. I did six on the last album and it felt too much. You never go away and people get pissed off. Bruno Mars did three, Taylor Swift did three and Adele did three. I’ll probably end up with four singles so I have a song to go into the BRIT Awards with next year."